Sheeza originally came from an Arabian breeding farm that was downsizing. 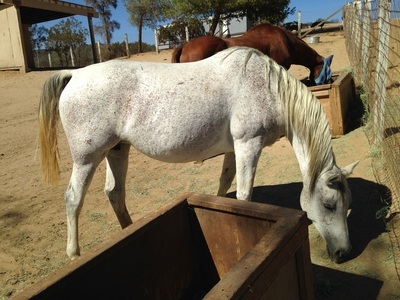 A family took over the care of the neglected horses and discovered Sheeza was pregnant.. They were facing an uncertain financial future and reached out TLER for help. Sheeza is 12 years old. She is said to be broke. She is sweet as pie but does not like her tail brushed! 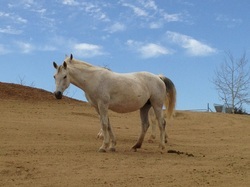 She is a dominant mare and runs the boys around in the pasture. She has an unknown due date but expect her deliver early May. Update: Sheeza foaled a healthy baby boy named Lucas 4/6/14. 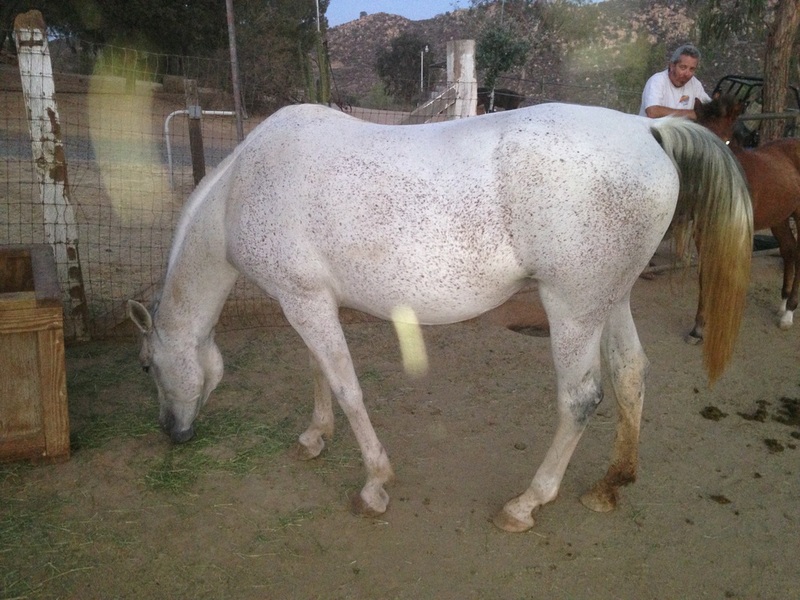 Update: 10/15/14 SHeeza is nicely broke to ride. So, we will start working on ponying Lucas. 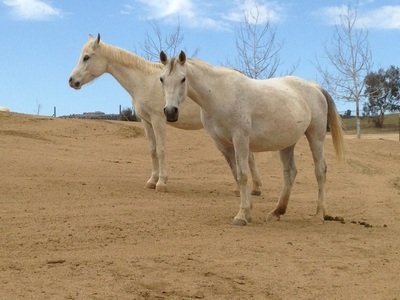 Then we can take the pair out to explore the world! 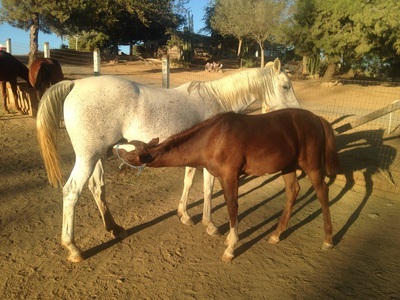 Sheeza's Breeder, no longer breeding, asked for Sheeza back. Happy to report Sheeza has gone full circle and is back home.